Book: "From Global Poverty to Global Equality"
This book argues that there are basic positive duties of justice to help eradicate severe global poverty; that global egalitarian principles are also reasonable even if they cannot be fully realized in the short term; and that there are dynamic duties to enhance the feasibility of the transition from global poverty to global equality in the face of nonideal circumstances such as the absence of robust international institutions and the lack of a strong ethos of cosmopolitan solidarity. The very notion of feasibility is crucial for normative reasoning, but has received little explicit philosophical discussion. This book offers a systematic exploration of that concept as well as of its application to global justice. It also arbitrates the current debate between humanist and associativist accounts of the scope of distributive justice. Drawing on moral contractualism (the view that we ought to follow the principles that no one could reasonably reject), this book provides a novel defense of humanism, challenges several versions of associativism (which remains the most popular view among political philosophers), and seeks to integrate the insights underlying both views. 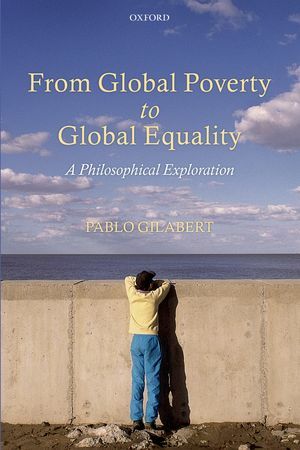 Pablo Gilabert is Associate Professor of Philosophy, Department of Philosophy, Concordia University, Montreal. A new issue of "Journal of Public Deliberation" (Vol. 8 no. 1, April 2012) is available online. New Book: "Perfecting Justice in Rawls, Habermas and Honneth"
Miriam Bankovsky shows how the pursuit of justice requires two orientations. The first is a practical commitment to the possibility of justice, which is the clear starting point for the broadly constructive theories of Rawls, Habermas and Honneth. Indeed, if justice were not possible, it would be difficult to see why it is worthwhile for human beings to live on this earth. However, a second orientation qualifies the first. It can be expressed as a deconstructive attentiveness to the impossibility of determining justice’s content. This impossibility results from the tension between the appeal for individual consideration and the appeal for impartiality, demands that Derrida believes our historical concept of justice includes. Framed by these two orientations, this ambitious book explores the promise and shortcomings of the constructive theories. Attentive to concrete experiences of injustice that these thinkers tend to overlook, Bankovsky provocatively challenges Rawls’ account of civil disobedience, Habermas’ defence of rational consensus, and Honneth’s ideal of mutual recognition, providing new insights into deconstruction’s relevance for contemporary theories of justice. Miriam Bankovsky is Lecturer in Political Theory for the Politics program at La Trobe University in Melbourne, Australia. She is co-editor (with Alice Le Goff) of "Recognition Theory and Contemporary French Moral and Political Philosophy" (Manchester University Press, 2012). Her thesis from 2008 is available online: "Social Justice after Kant: Between Constructivism and Deconstruction (Rawls, Habermas, Levinas, Derrida)" [pdf]. Symposium on "Cosmopolitanism Contested" at the University of Copenhagen on May 3, 2012. The symposium seeks responses from critical social theory on cosmopolitanism in light of the current challenges to European democracy. How do the various expressions of anti-cosmopolitanism manifest themselves in contemporary Europe? How to discern the proper boundaries between cosmopolitanism and reactions to it (‘anti-cosmopolitanism’)? Is there an intrinsic link between Europeanisation and re-nationalisation (which, in fact, occurs simultaneously and is increasingly constraining the development of European integration)? Does cosmopolitanism beget resistance? The symposium is open to the general public. Further information here. See the complete programme here [pdf]. All audio files of the presentations - including Charles Taylor's replies - are available here. In an interview in the German newspaper "Handelsblatt" (April 12, 2012), Professor Amartya Sen talks about the EU crisis and the neoclassical macro economists. "There is a democratic failure in Europe"
"One result of European monetary integration, without a political integration, is that the population of many of these countries has no voice. Economics is de-linked from the political base. That I think is a mistake and it goes completely against the big European movement that began in the 40s and fostered the idea of a democratic, united Europe." Amartya Sen is Lamont University Professor at Harvard University. His most recent book is "The Idea of Justice" (Harvard University Press, 2009). On January 19, 2012, Professor Thomas Pogge visited Carnegie Council for Ethics in International Affairs and talked with Julia Taylor Kennedy about Rawls's theory of justice, inequality, the pharmaceutical industry, and human rights. In this except Thomas Pogge describes what it was like to study under John Rawls. Read a transcript of the complete conversation with Thomas Pogge here. Thomas Pogge is Professor of Philosophy and International Affairs at Yale University. He is the author of "John Rawls: His Life and Theory of Justice" (Oxford University Press, 2007), "World Poverty and Human Rights" (Polity Press, 2008, 2nd, expanded edition) and "Politics as Usual: What Lies Behind The Pro-Poor Rhetoric" (Polity Press, 2010). The Post-Secular in Question - Philip S. Gorski et.al. 12. Time, World, and Secularism - Craig Calhoun. The essays are based on papers presented at a confence on "Exploring the Post-Secular" at Yale University, April 3-4, 2009. The latest issue of "Studies in Philosophy and Education" (March 2012) is a special issue on Jürgen Habermas - "The unfinished project of education: Habermas in conversation with others". See summaries and previews here. This paper discusses Rawls’s thesis that the social basis of self-respect is one of the primary social goods. While the central element of the social basis consists in the attitudes of others (e.g. respect or esteem) the social basis may include also possession of various goods. Further, one may distinguish, following Honneth, universalistic basic respect from differential esteem and from loving care. This paper focuses on esteem, and further distinguishes three important varieties thereof (anti-stigmatization; contributions to societal goods, projects of self-realization), which all differ from recognition of cultural identity. The normative implications will differ in these different contexts. This paper reconstructs the argument of Axel Honneth's recent book Das Recht der Freiheit as a theory of the institutionalization of freedom in modern society. In particular, it looks at Honneth's argument for the realization of freedom in law and morality that is proposed as a contemporary re-interpretation of Hegel's Philosophy of Right. Then I discuss Honneth's argument for the reality of freedom in the ethical spheres of civil society, in particular in the family, the market and in democracy. Finally, the paper proposes some critical remarks to Honneth's theory. On April 19, 2012, Professor Axel Honneth talks at a conference on Rousseau at the University College London. His keynote lecture is entitled "The vicissitudes of recognition: The legacy of J-J Rousseau". Among the other participants are Philip Pettit, Tracy Strong, Richard Bellamy, Cécile Laborde, Quentin Skinner, and Gareth Stedman-Jones. See the programme of conference: "Rousseau 300 - Nature, Self, and State", University College London, April 19-21, 2012. 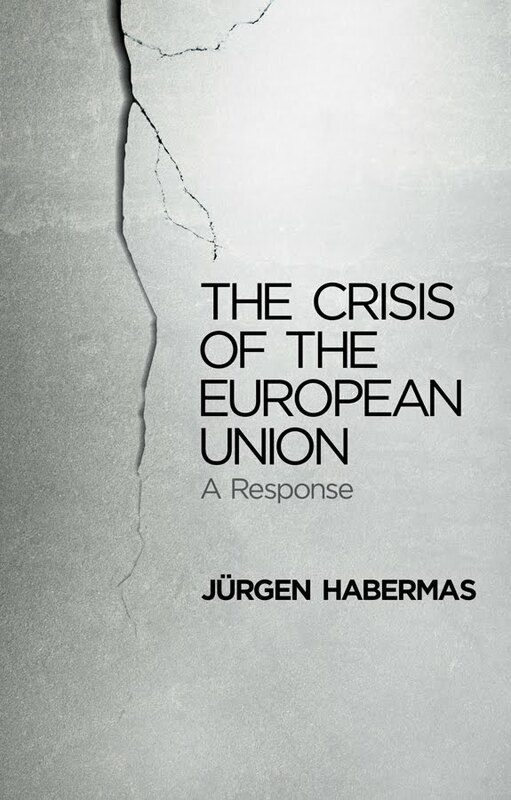 In the midst of the current crisis that is threatening to derail the historical project of European unification, Jürgen Habermas has been one of the most perceptive critics of the ineffectual and evasive responses to the global financial crisis, especially by the German political class. This extended essay on the constitution for Europe represents Habermas’s constructive engagement with the European project at a time when the crisis of the eurozone is threatening the very existence of the European Union. There is a growing realization that the European treaty needs to be revised in order to deal with the structural defects of monetary union, but a clear perspective for the future is missing. Drawing on his analysis of European unification as a process in which international treaties have progressively taken on features of a democratic constitution, Habermas explains why the current proposals to transform the system of European governance into one of executive federalism is a mistake. His central argument is that the European project must realize its democratic potential by evolving from an international into a cosmopolitan community. The opening essay on the role played by the concept of human dignity in the genealogy of human rights in the modern era throws further important light on the philosophical foundations of Habermas’s theory of how democratic political institutions can be extended beyond the level of nation-states. Now that the question of Europe and its future is once again at the centre of public debate, this important intervention by one of the greatest thinkers of our time will be of interest to a wide readership. Habermas's book was published last year in German: "Zur Verfassung Europas" (Suhrkamp Verlag, 2011). See my post on the book here (with links to the original texts). This book provides the first in-depth examination of the right to have rights in the context of the international protection of human rights. It explores two overarching questions. First, how do different and competing conceptions of the right to have rights shed light on right bearing in the contemporary context, and in particular on concepts and relationships central to the protection of human rights in public international law? Secondly, given these competing conceptions, how is the right to have rights to be understood in the context of public international law? In the course of the analysis, the author examines the significance and limits of nationality, citizenship, humanity and politics for right bearing, and argues that their complex interrelation points to how the right to have rights might be rearticulated for the purposes of international legal thought and practice. 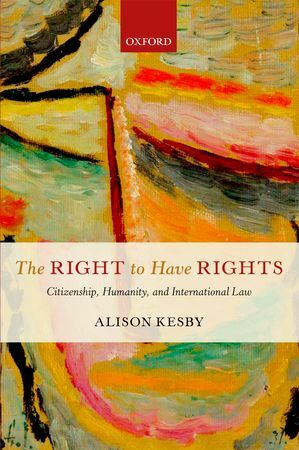 Alison Kesby is a Research Fellow in public international law at St John's College, Cambridge. "Habermas denounces German politicians for failing to seize the debt crisis to inspire voters with a vision of European unity. He dismisses Angela Merkel as “a hard-nosed lobbyist” for German national interests with one eye fixed on poll ratings. “Popular opinion established by opinion polls is not the same thing as the outcome of a public deliberative process leading to the formation of a democratic will,” he comments acidly. Some of these criticisms seem harsh. After all, Merkel and her government have kept the euro alive and defended the cause of European unity. Still, in pinpointing the lack of democratic participation, Habermas builds a case that Europe’s leaders will sooner or later have to answer." Habermas's book was published last year in German: "Zur Verfassung Europas" (Suhrkamp Verlag, 2011). See my post on the book here - and links to reviews here.